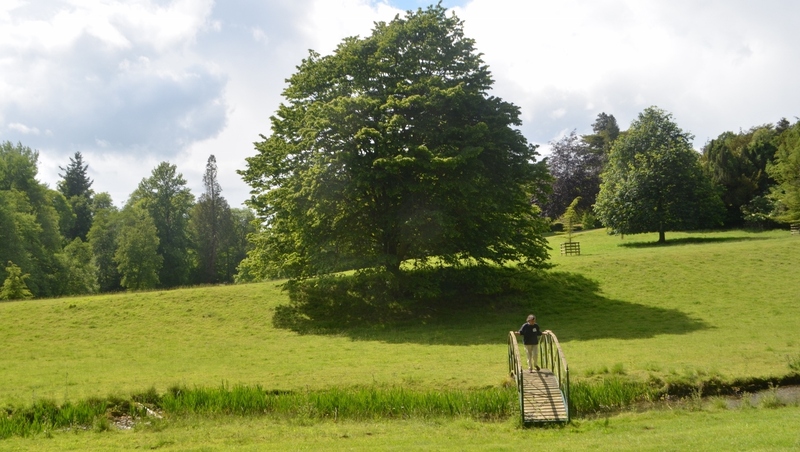 On Saturday 20th June,Cotswold Tree Warden Group held its Annual Conference at Colesbourne Park, by courtesy of Sir Henry Elwes. Gathering in the estate’s Long Room, Group Chairman, Mike Hartnell, welcomed delegates and set the day in motion by presenting our host with a certificate and a book, “The British Oak”, written/photographed by one of our speakers, Archie Miles. Jon Stokes, of The Tree Council, supporting us as always with his presence, spoke on 25 years of the Tree Warden Scheme in “Making a difference for trees in your patch”. Archie Miles then used many of his own photographs to illustrate a talk “Just look what you have got!” about connecting people to their trees. Before lunch, Sir Henry gave us an introduction to his family and the estate. Once fortified by our buffet lunch – with many thanks once again to Jean Nunn for supplying much of the fare – we embarked on a walk round the excellent arboretum. Sir Henry conducted this himself and his enthusiasm for an immense variety of trees and plants is evident for all to see. We returned to the Long Room for tea or coffee and cake, plus concluding remarks before heading home.